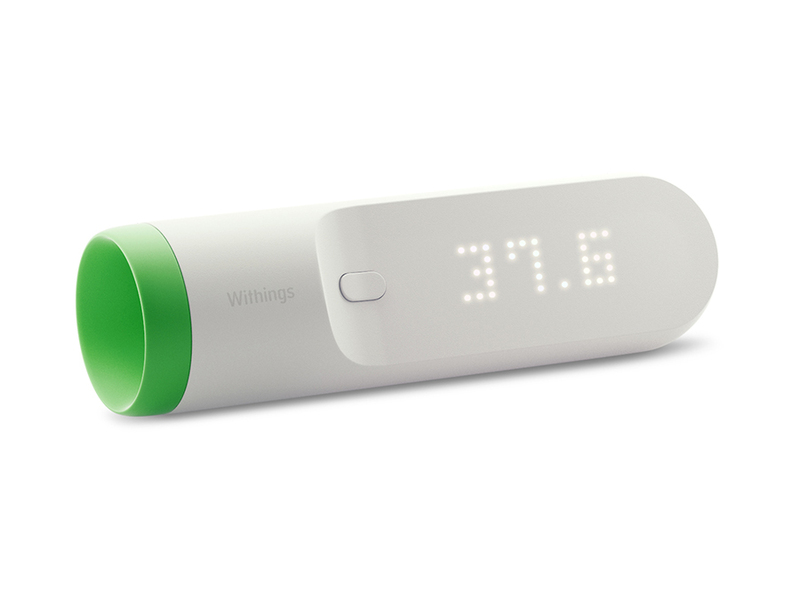 Withings has just announced that their new, and easy to use, thermometer Thermo is available in Europe, at the price of99.95€. You can currently buy Thermo at official Withings web shop which you can visit by clicking the link. Thermo is precise digital thermometer that can be connected to your mobile phone application over WiFi or BT. It has 16 IC sensors that do over 4000 measurements to provide an accurate temperature reading. It is suitable for families with kids since you don’t need to stick classical thermometer it in their mouth or place it under arm and pray for accurate reading. With Thermo you just scan the child’s hairline on the forehead to find out if it’s ready for playground or hot tea and bed. Check the official video that will show you how to use Thermo.